A recent study released by AP portrays a staggering lack of preparedness by Americans age 40 and up in the case of Long Term Care Insurance options. Long Term Care is still one of the least popular insurance policies in the nation; only 1 in 10 seniors currently have Long Term Care Insurance. This statistic is shocking because, according to a government study for people 65 years and above, 1 in 2 Americans and 7 in 10 seniors will need Long Term Care at some point. Despite clear evidence that the majority of people will require Long Term Care, 3 out of 10 people surveyed admitted they would rather not think about getting older, let alone think about their need for Long Term Care. While it is disturbing to see people in such denial, the more alarming numbers come from different answers. Denial or Lack of Information? Two-thirds of people surveyed said they had done “little to no planning” for Long Term Care. While this may be due to denial, the survey also shows that many people think they are covered when they are not. When asked, 37% of people thought Medicare covered nursing homes, when in reality, nursing homes are never covered by Medicare. Even more people believed Medicare covered in-home care; those services are only covered in very specific circumstances for a short period of time. Only 1/3 of those surveyed have set aside money for future Long Term Care and only 27% are confident they will have enough financial resources when the time comes. In a nutshell: Americans aren’t prepared to pay for their Long Term Care. This lack of preparation often ends in financial assets being exhausted on Long Term Care services and with costs at upwards of $80,000/year for a private room in a nursing home, that money will disappear quickly. Medicaid is the last option for those in need of Long Term Care. Eligibility for Medicaid essentially relies on one thing: a complete lack of assets. So to qualify for Medicaid, you must spend all your money and surrender all your assets. Even then, Medicaid is being squeezed so tightly for money, you might not receive top quality Long Term Care. In addition, the Affordable Care Act, signed into law by Obama in 2010, includes cuts to both Medicaid and Medicare. These cuts have health care owners turning away from government subsidized facilities like nursing homes and turning towards private assisted living facilities. If Medicare and Medicaid aren’t to be relied on, then what is? Long Term Care Insurance can provide you with security for your senior years and peace of mind knowing your assets won’t be depleted paying for those services. 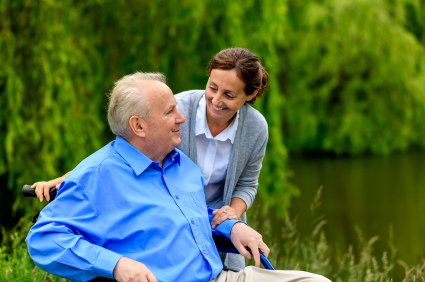 Long Term Care Insurance covers a variety of expenses used for Long Term Care including nursing homes, assisted living facilities, in-home care, and more. More importantly, Long Term Care Insurance is guaranteed renewable, meaning as long as you pay your premiums, the insurance company can’t drop you for any reason. 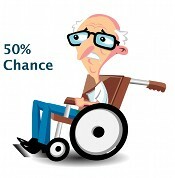 A huge misconception exists in the United States about the cost of Long Term Care Insurance. A recent survey conducted by the PSRAI in January 2013 found that 56% of Americans overestimated the annual cost of Long Term Care Insurance by more than twice the actual cost! The average cost for Long Term Care Insurance is between $2,000 – $3,000 a year. With the cost of a nursing home averaging more than $50,000 a year, Long Term Care Insurance is a sound investment to make. Chances are, you will end up using it one day. Until then, you can relax, knowing your health and your assets are well-protected. Have questions about Long Term Care Insurance? Call us at 1-800-800-6139 or fill out our online form to request a quote. Read more about who should buy Long Term Care Insurance and why here.